Yoon, CIO at New York Life Investment Management, has been awarded the 2016 Irving Kahn Lifetime Achievement Award. Dolly, CEO, and Hardwick, COO, have been named to InvestmentNews's 2016 Women to Watch list. Greer has joined the firm as chief marketing officer. Previously, he held many executive-level marketing positions at Franklin Templeton Investments. Brunner has rejoined the firm as partner and managing director. He originally joined Hatteras in 2011 as midwest regional director until early 2015. In the interim, he served as managing director for The Rock Creek Group. Nadig has been named CEO of ETF.com. Nadig previously led ETF.com's data and analytics efforts from 2008-2015. After his first stint at ETF.com, he served as VP, director, exchange traded funds for FactSet Research Systems until he was rehired by ETF.com. Borr� has been inducted into the 2016 YW Academy of Women Leaders Class. Currently, she serves as sole PM of the Oppenheimer Fundamental Alternatives Fund and lead PM of the Oppenheimer Capital Income Fund. Byers has been appointed independent chair of the board of trustees for the DBX ETF Trust. Gilligan has been appointed a member of the board of trustees. Klassen has been appointed president of the trust. Casparius has been appointed to the national accounts team as senior managing director for wire-house strategy and alliances. Previously, he was managing director and head of retail distribution for UBS's Asset Management division. Schneberger has been appointed head of brand & client experience. Grogan has been appointed head of integrated marketing, which encompasses broker dealer, high net worth, institutional, retirement & sub-advised marketing efforts, as well as content strategy & development. Johnson has been appointed head of digital distribution & innovation. Pick is heading the Polen Global Growth Equity strategy. 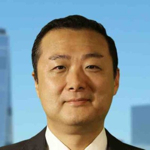 He has many years in the industry; he previously served as a research analyst and portfolio manager for Janus Capital. Hamilton has joined the board of the Jensen Quality Growth Fund. She also serves as an associate professor at the school of business at Portland State University. Dineen has been appointed non-executive chairman of the board of Cetera�s parent company, Aretec Group, Inc. He has been acting chairman since September. White will step down from her position as chair of the SEC at the end of the Obama administration. Wiedman has been promoted to head of a new unit combining the ETF and index-investing business. He also oversees the iShares exchange-traded funds. McCombe has been promoted to the newly created role as head of the Americas. He also co-heads alternatives. Fries has joined the firm as a partner in the global investment funds, advisers and derivatives practice. Previously, she was a partner in the financial institutions group at Goodwin Procter. Silver Lane was awarded this honor at the 15th Annual M&A Advisor Awards. Silver Lane was commended for its role as exclusive financial advisor to Gerstein Fisher on its sale to People's Securities. Jaeger has been appointed regional vice president of the northeast. Previously, he marketed UITs in the New York metro area for First Trust. Jameson has been appointed regional vice president of the southeast. Previously, he was a regional vice president of the southeast at Ivy Funds. Yates has been appointed director of business implementation. Previously, she was an executive director of product development and management at UBS Wealth Management. Rooney has been appointed senior manager of client services. Previously, he was an associate director of sales at Third Avenue Management. Marston has joined Cantella & Co as chief operating officer. Previously, he served as managing director at BNY Mellon Investment Management.